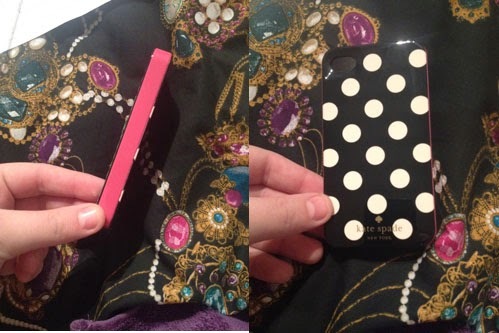 I was gifted this Kate Spade Iphone 4S case to review. 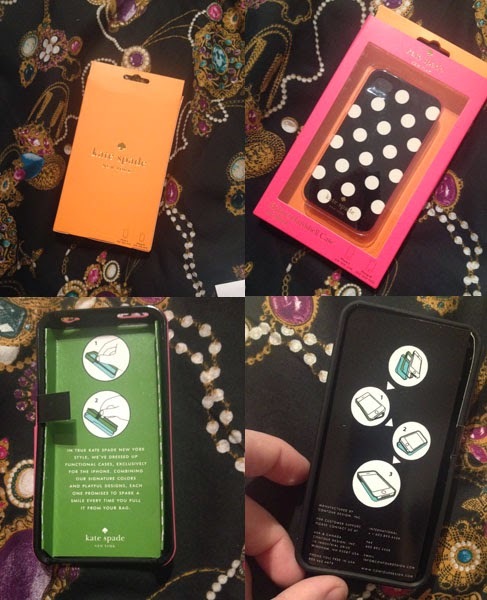 Probably a step away from the usual fashion I post, I took the chance to review this designer phonecase. As soon as I opened the packaging I knew it was love at first site. Polka dots and pink are the way to Michaela’s heart. The case comes with a plastic outer that you place around the outside of the phone. You then slip this with the phone in to the plastic decorative case. Now I’m sure you may or may not know I stupidly broke my IPhone 4s screen. This was before I was sent this amazing case. I can't confirm but I'm pretty sure if this case was on my phone at the time of dropping it, my screen wouldn't have been damaged. The plastic outer you place on the outside of the phone creates a raised bit away from the screen, so when you place your phone screen side down the screen never touches the surface. After one week, the case is still sturdy and safe. The only downside is a few scratches but there’s no severe damage. The Kate Spade logo is still fully viewable and untouched, despite me holding the phone at the bottom with warm sweaty hands.